In some ways it’s hard to believe I’m to 200 posts already. And in other ways, I’ve been doing this so long (4.5 years!) that is feels like I should have way more than 200 posts. Thanks for sticking with me through all those posts. I appreciate all my readers. 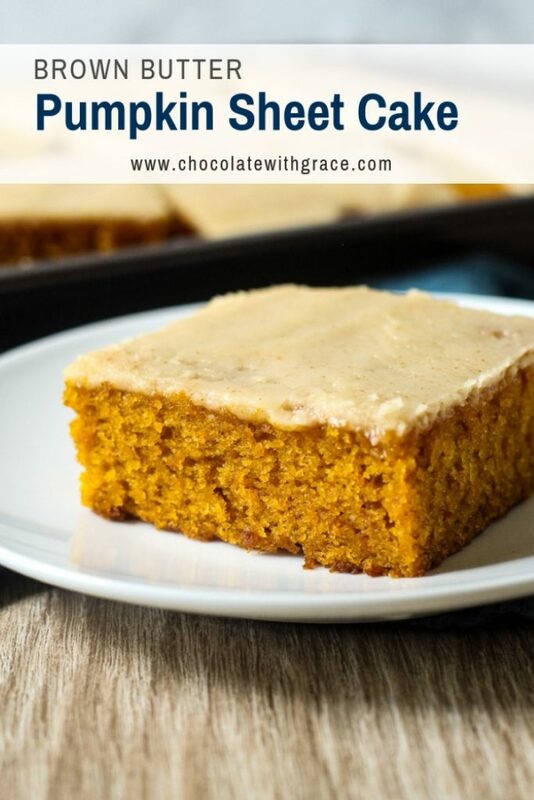 I’ve wanted to make a pumpkin sheet cake with brown butter icing for awhile, but I’ve had a couple of test runs that were flops. They tasted good, but were pretty ugly. I still can’t say this is the prettiest cake you will ever eat, but every bite is moist, and filled with pumpkin spice flavor and nutty browned butter frosting. What does browned butter frosting taste like? If you’ve never had browned butter, it has a nutty, warmer flavor. You might ask why you should try brown butter icing on the cake instead of the classic cream cheese frosting which is hard to beat. It pairs perfectly with pumpkin (and peach if you can’t get enough of it.) The pumpkin and pumpkin spices are so good paired with the brown butter. I’ve also used it on my pumpkin bundt cake. 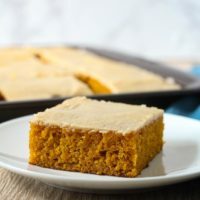 About all the popular pumpkin sheet cake recipes on the internet seem to be a variation of one recipe. And mine is very similar as well. It uses oil instead of butter to make it extra moist. Butter gives good flavor to baked goods, but oil will keep them moister. Since we’re using butter in the frosting, we can use oil in the cake with good results. 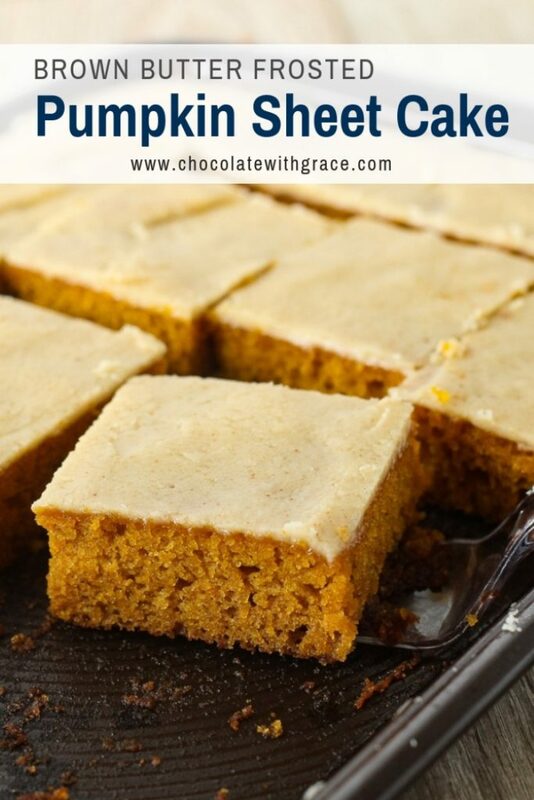 Let me know in the comments if you use this pumpkin sheet cake recipe to celebrate any occasions. I think it would be perfect for fall birthdays, wedding showers and even as a thanksgiving dessert. It’s also great any day of the week. 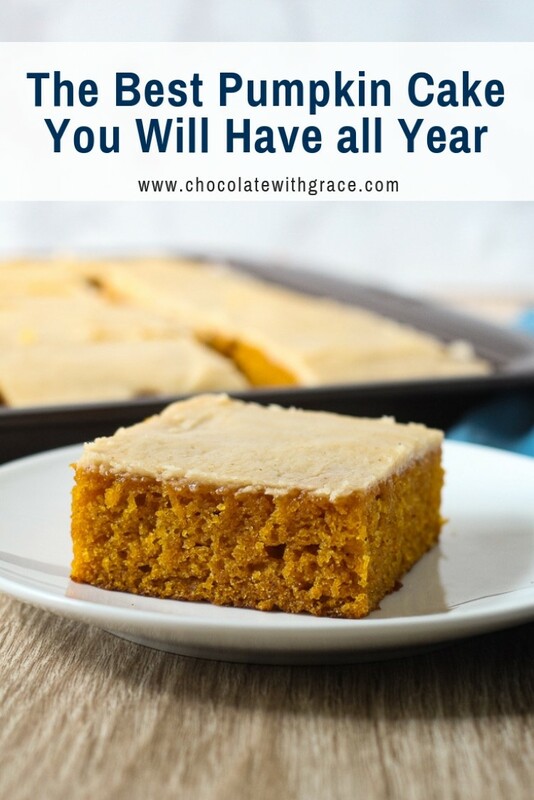 This is the best pumpkin cake you will have all year. 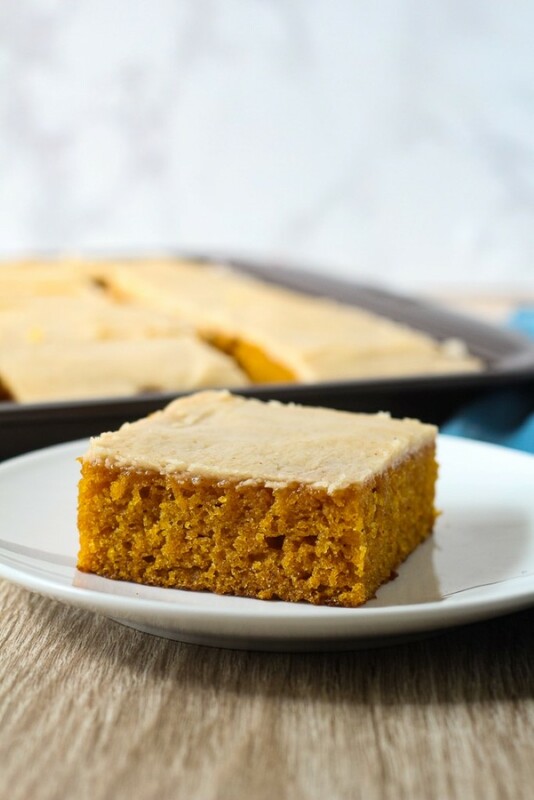 It's an easy, moist pumpkin sheet cake with a brown butter icing that is frosted while it's still warm, Texas sheet cake style. Preheat oven to 350 F. In a large bowl, stir together the sugar, oil, pumpkin and eggs. 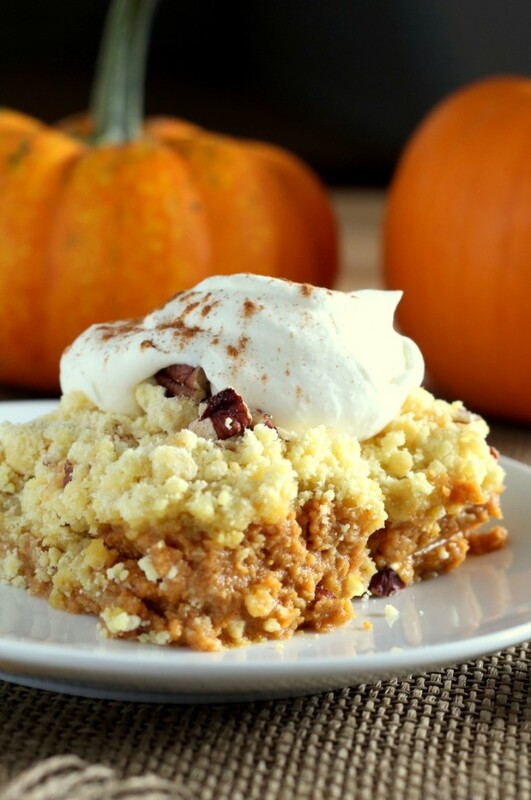 In a medium bowl, whisk together the flour, baking soda, pumpkin pie spice and salt. Gently stir the dry ingredients into the wet and stir until just barely combined. Pour batter into a greased 10 x 15 inch baking pan. Bake at 350 F for 25 to 30 minutes or until it springs back when lightly touched. While the cake is baking, make the frosting. In a heavy saucepan over medium heat, brown the butter. Watch carefully so it doesn't burn. When browned, pour into a heat safe bowl to cool. Beat in the powdered sugar, salt and enough milk to make a smooth consistency. If the butter is still slightly warm when you add the sugar, it can get clumpy and greasy. If that happens, beat on high for several minutes until smooth. 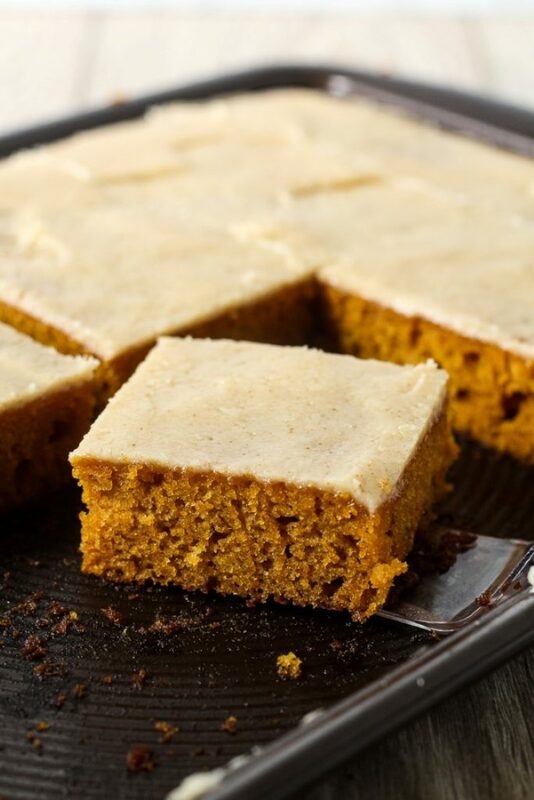 If you’re looking for other fancy pumpkin cakes, try these from my fellow bloggers. 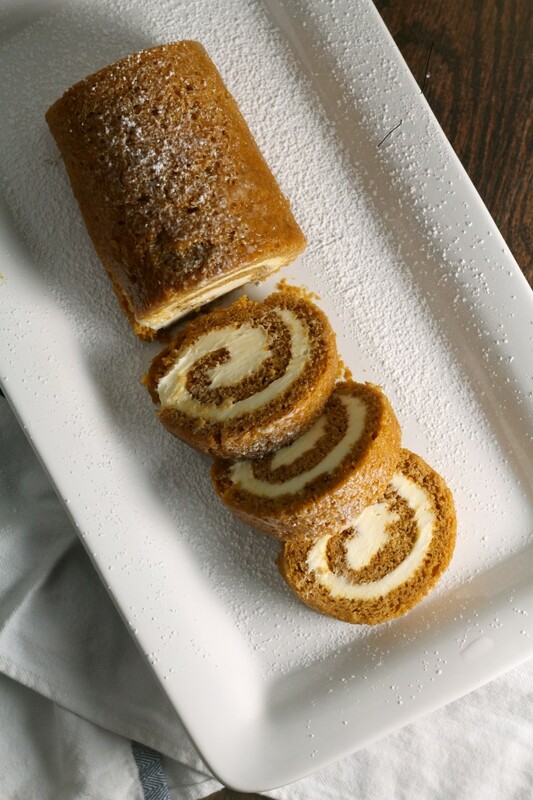 Pumpkin Layer Cake with Cinnamon Cream Cheese Frosting from The Novice Chef. 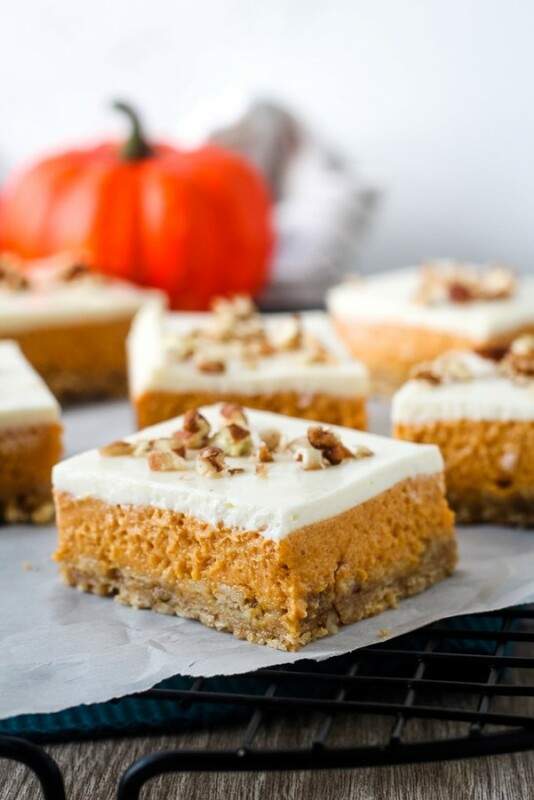 Here are some of my other favorite pumpkin recipes for a crowd.